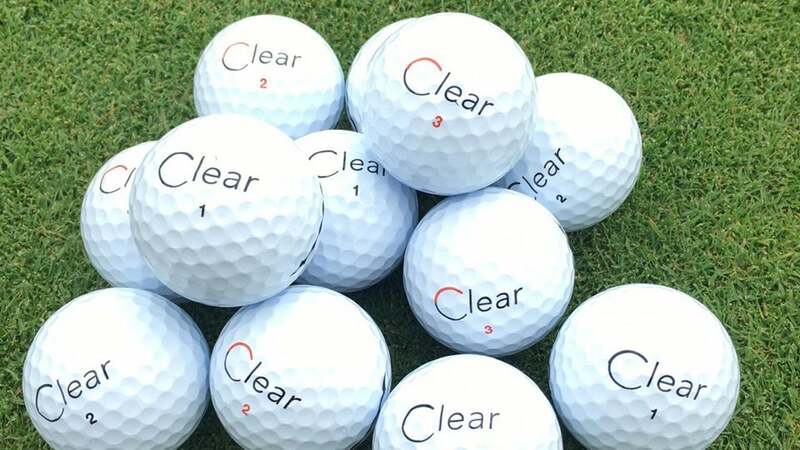 These golf balls by Clear may be the most exclusive balls on the market (if you can find them). You've probably never heard of Clear's ultra-exclusive 'members only' golf ball, but if you have, you're in some pretty elite company. The balls, made by Clear Sports LLC, a premium sports outfitter aimed at increasing public consumption, are part of a membership-only club whose players include celebrities and former professional athletes like NHL star Jeremy Roenick and actor Sean Connery. You can only play them by invite and membership fee of $950 (12 cases), but the company will throw in a logoed hat and pullover. Titliest Pro-V1s, arguably the standard for golf ball greatness, run at $48 and up for a box of 12, making the Clear almost twice as expensive per box. The company's founders pride themselves on not only the exclusivity of their product, but the performance as well. So if the balls are as exclusive and as good as the company claims, why aren't we seeing it more on Tour? "We want to have it for our members and that's it," Clear co-founder Garry Singer told Forbes. (Well, that and pros' existing, competing endorsement deals.) "Our guys love it. It's not too big, it's not a mass produced thing. It's been incredibly good." If you can get your hands on a box, the Clear comes in two kinds of urethane balls: Clear Red, a softer three-piece ball and Clear Black, a firmer four-piece.